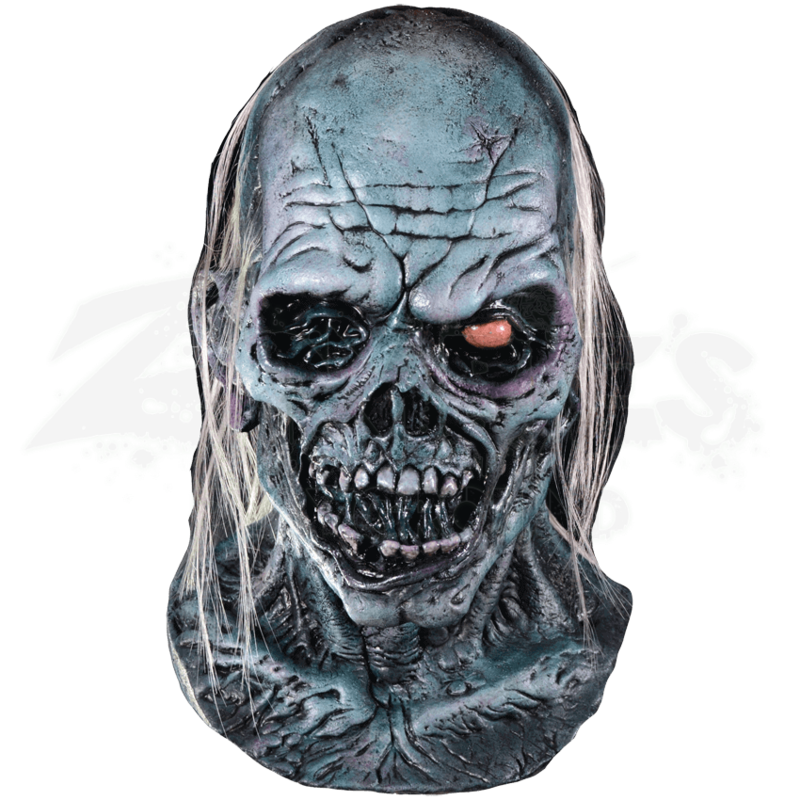 If you are looking for a truly unique zombie mask to add to your collection, look no further than the Haunted Mask. This latex mask covers the head and neck when worn and delivers gruesome details that are sure to scare others. Pock marks and wrinkles decorate the skin and the top of the skull appears to have sustained a major cut that had been sewn up. Flesh around the mouth has completely rotted away exposing the teeth and part of a cheek bone. The nose has been the victim of decay and is almost completely gone. One eye has completely rotted away and the other is not far behind it. Arguably the most striking aspect of the mask, the flesh has purple and blue tones to it, and the wispy, white hair accentuates those colors even more. 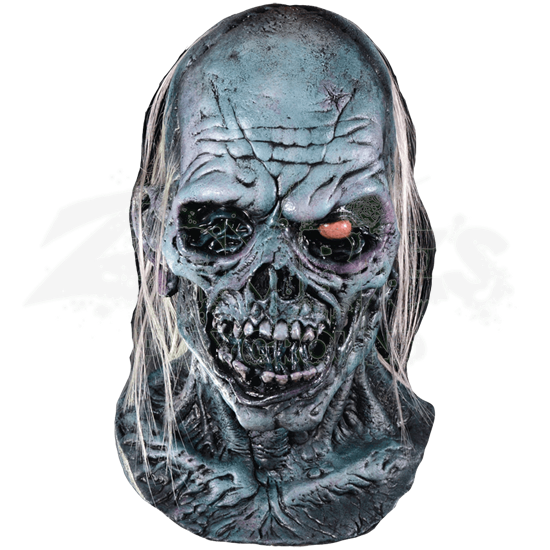 Add this unique looking zombie mask to your costume and be ready to haunt the neighborhood!